If you’re looking for sturdy and attractive pavilions in Maryland and Delaware, we can accommodate you here at Amish Structures. We offer top-notch outdoor structures and are a reliable business for you to consider. Our company provides wood pavilions and vinyl pavilions that are Amish built with the finest materials. The materials we use to make pavilions are of the finest caliber. That’s why our pavilions are so durable. If you want a pavilion that will stay looking beautiful and fresh for a long period of time, we’ll make sure that’s what you get. Not only are our pavilions extremely durable and tough, but they’re also absolutely lovely visually. If you want to take the charm of your property to the next level, our pavilions are top of the line. People who love entertaining and hosting outdoor gatherings with friends and family members truly adore our pavilions. 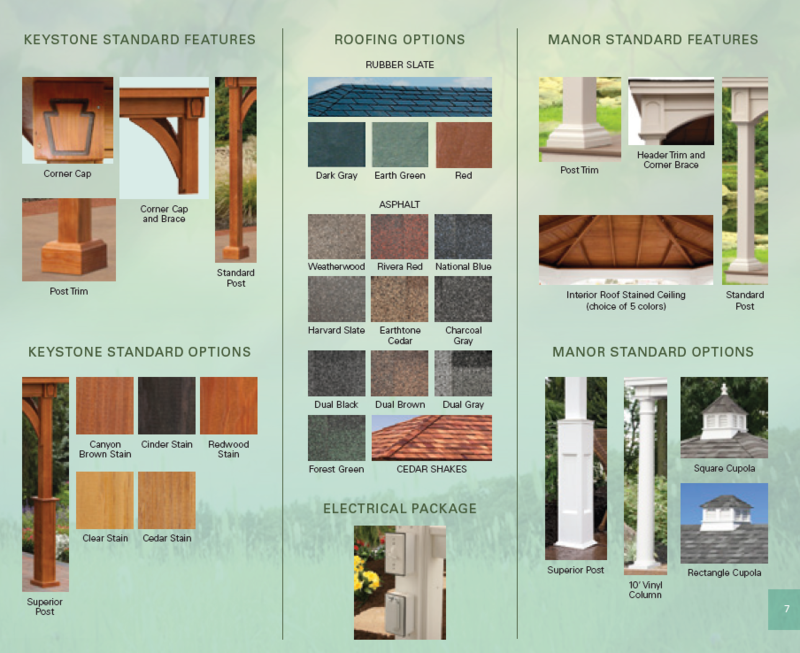 Call today for Delivery & Installation for an Amish Built, Outside Pavilion! At Amish Structures, we also allow our clients to customize their outdoor structures. The keystone model includes standard options such as cedar stain, redwood stain, transparent stain, and cinder stain. Another structure, the manor model, offers special post and cupola options. As far as roofing goes, many choices in both asphalt and rubber slate are available. You can browse our pavilions catalog to see attractive choices for both the keystone and manor models. Our structures are built with love and dedication by skilled Amish craftsmen. If you’re looking for amazing pavilions in MD & DE, Amish Structures is for you. The professionals who work for our company are devoted to attentive customer service. We always do everything we can to ensure the happiness and satisfaction of the people who choose to work with us. Our customers’ opinions count! You will appreciate our authentic Amish handiwork that has a traditional and welcoming vibe. For customized pavilions, pergolas, and more, contact us at Amish Structures today!